This page will contain all problems, issues, solutions and troubleshooting guides for Samsung Galaxy S5. We will update it regularly so that it will be easier for you to find solutions for your problems. If you're reading this now, then you must be looking for ways to fix whatever issue you have with your phone. Read on to see if we published posts that address your concern. For future reference, you may want to bookmark this page to make it easier to find. We are here to help. In fact, we've been providing free online support for almost 4 years now. If you have problems with your Android device, you can always contact us via droidista.com@gmail.com or you may leave a comment below providing all necessary details about your problem. Samsung Galaxy S5 Battery. This is the main power source of your device. It is located at the back underneath the main cover and is removable; meaning, you can replace it on your own if damaged. If your phone won't turn on or charge, this is probably the first thing you should check if it's properly mounted. Or, you may try using a different battery to know if you need to replace the old one. Samsung Galaxy S5 Power Key. This is the main switch of your phone. Without it you cannot lock the device or turn on or off. When stuck, the phone will enter a boot loop and vibrates every few seconds. You can get in from being stuck by pressing it multiple times but if the issue persists, it could be that it's already damaged and needed replacement. You may service it on your own but remember, accessing the Power key will void the warranty as you will have to unscrew the secondary cover that holds the motherboard and other components in place. Samsung Galaxy S5 Touch Screen Digitizer and AMOLED Display. You may see it as one component but the display of your phone is consist of a screen for display and a digitizer that makes touch screen possible. The latter is on the outer layer while the former is safely mounted on the phone's frame. When you see a crack on the screen and the touch screen is gone, the digitizer is the one that needs replacement. However, if the crack is accompanied by discoloration of the screen, it's more likely that the AMOLED display has also been damaged. Good news is both are replaceable. Samsung Galaxy S5 Back Camera. This is the main or default camera of your device which is located at the back of your phone underneath the main housing. If photos taken by your phone looks fuzzy or if there is a line that runs through them, the lens may need to be replaced but not the entire camera assembly. If it's having a difficult time focusing on the subject, make sure you remove the protective film from the lens. It's on the outside so you can just place a small piece of scotch tape over the lens and pull it off. 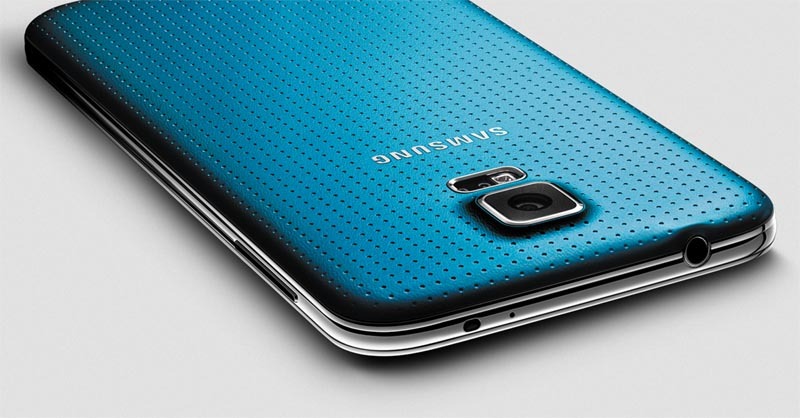 The following are the problems you may encounter if you own a Samsung Galaxy S5. Just click on the link to read the post. Samsung Galaxy S5: "Unfortunately, the process com.google.process.gapps has stopped"
Galaxy S5 crackles when shaken, is it damaged? We hope that this little guide can help you. Leave a comment if you have issues and we'll get back to you as soon as we can or email us at droidista.com@gmail.com.